Summer is now over! But don’t let that stop you from still having a nice refreshing drink after you get home from work on a Friday afternoon (or any day for that matter). 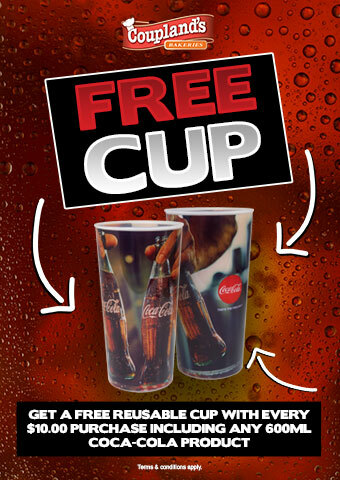 Instantly get a free Coca-Cola Branded Reusable Cup with every $10.00 purchase including any 600ml Coca-Cola product. Limited time only. While stocks last. Terms & conditions apply. Promotion valid 1st April – 30th April 2019.